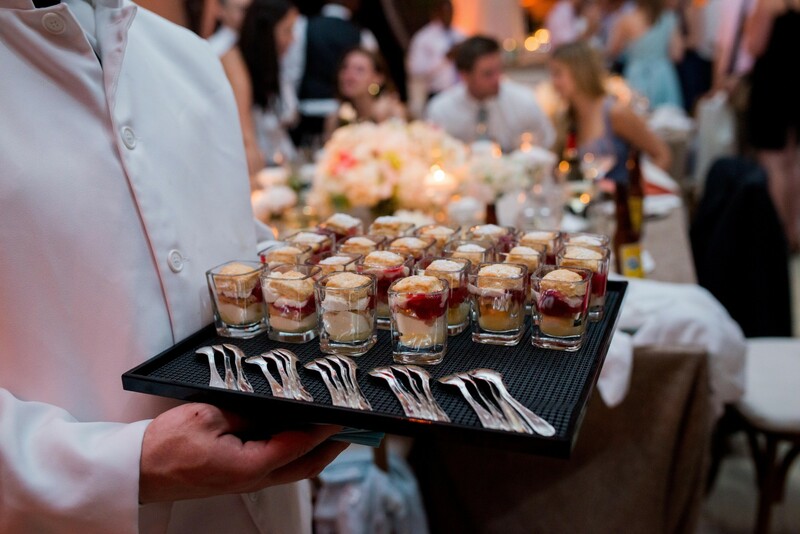 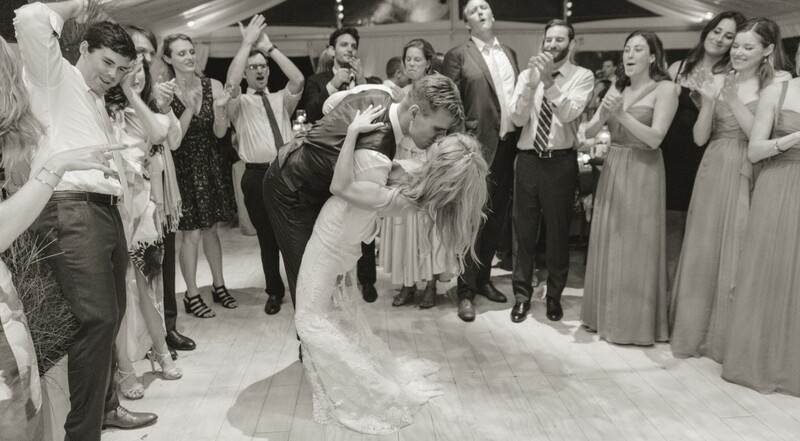 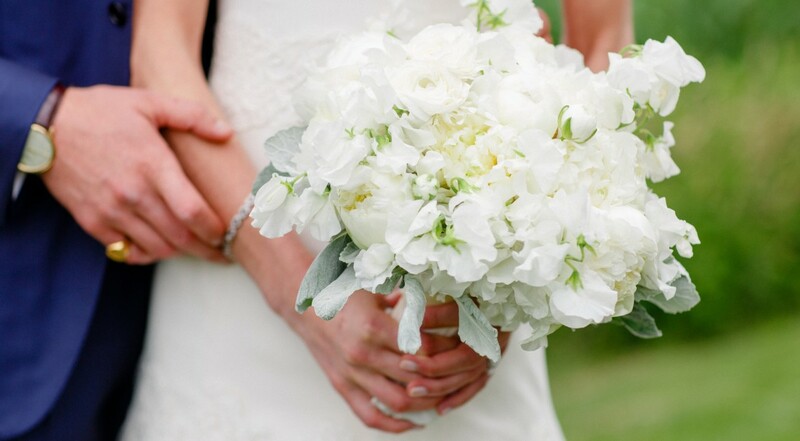 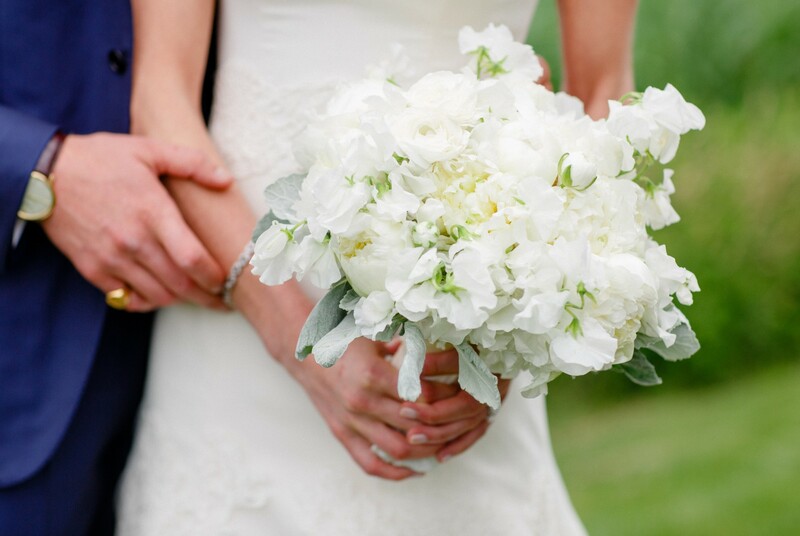 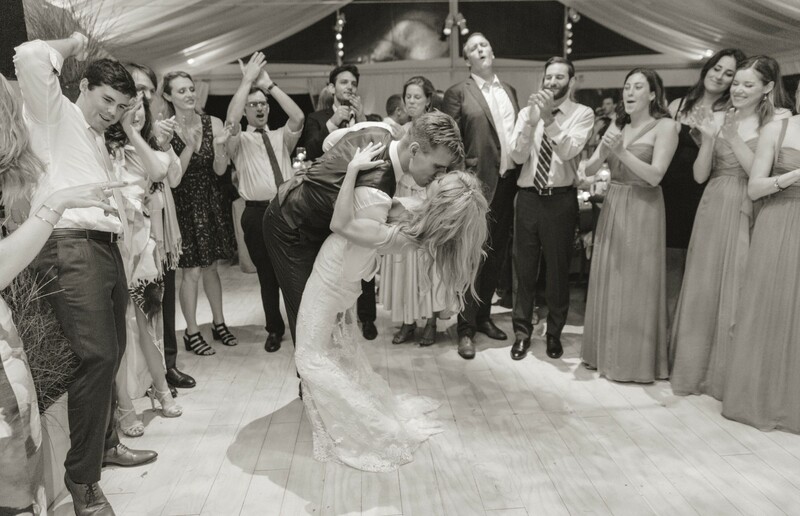 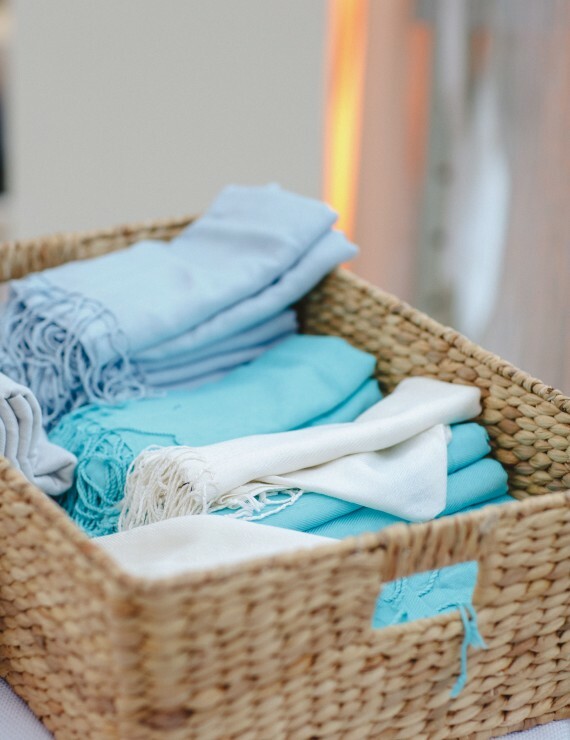 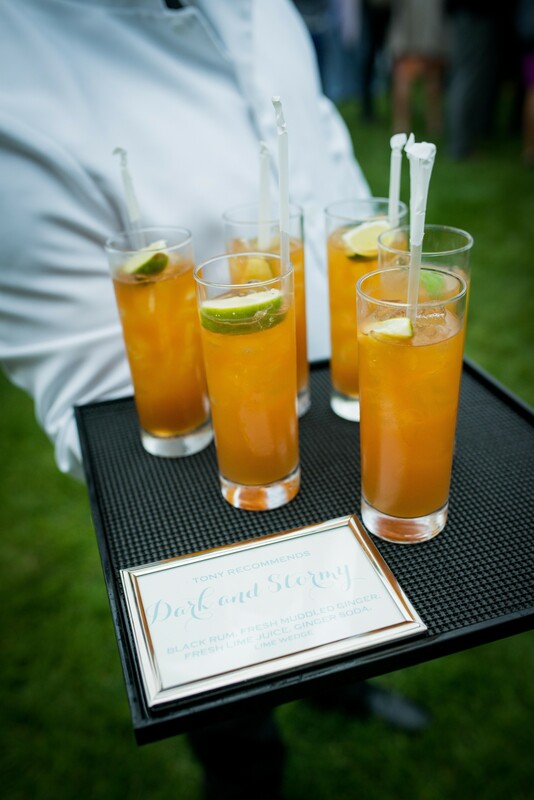 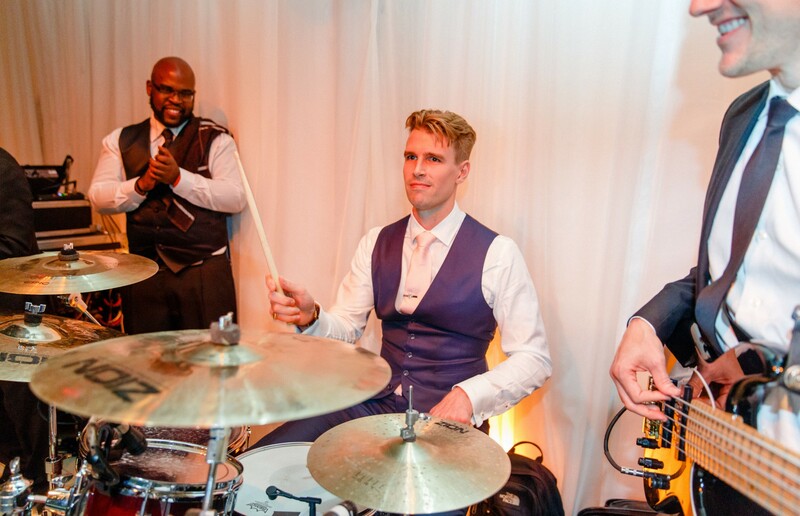 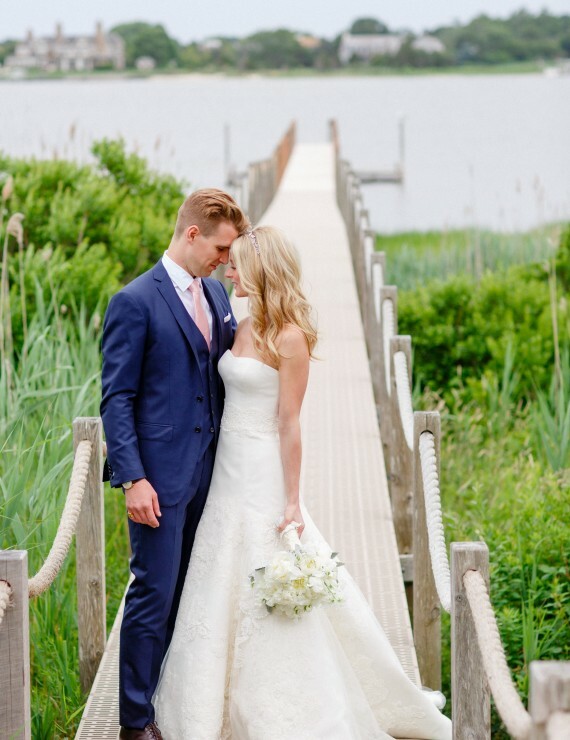 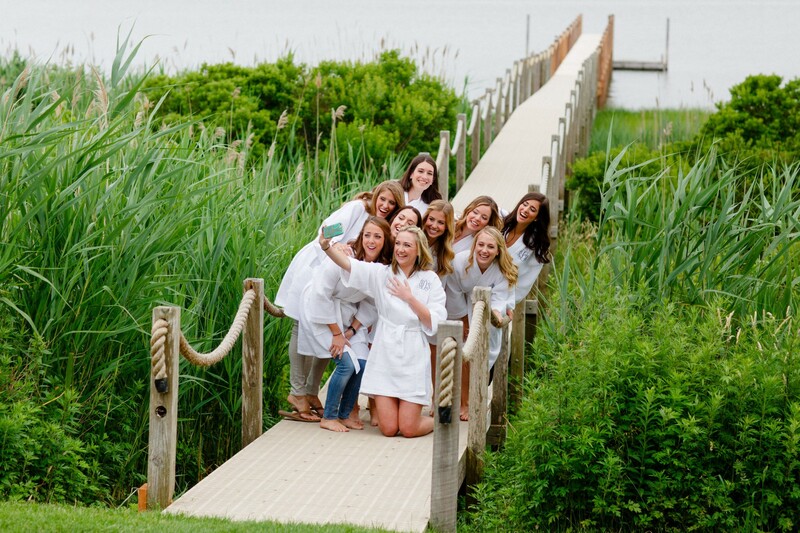 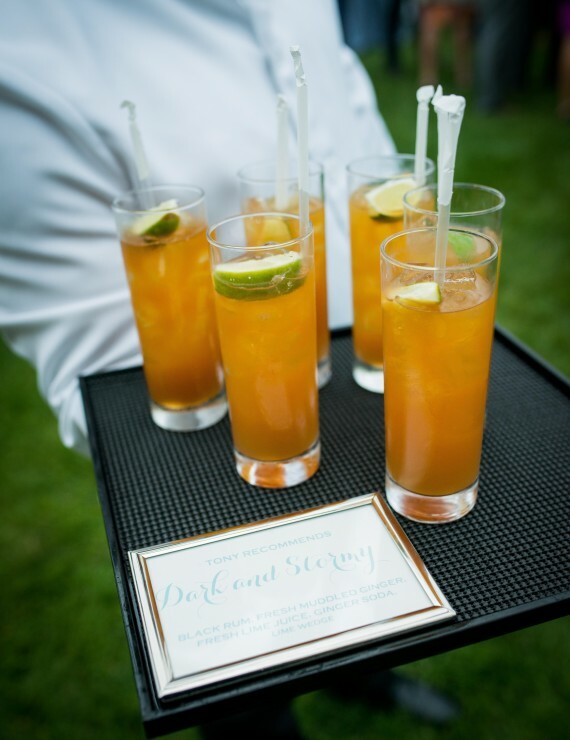 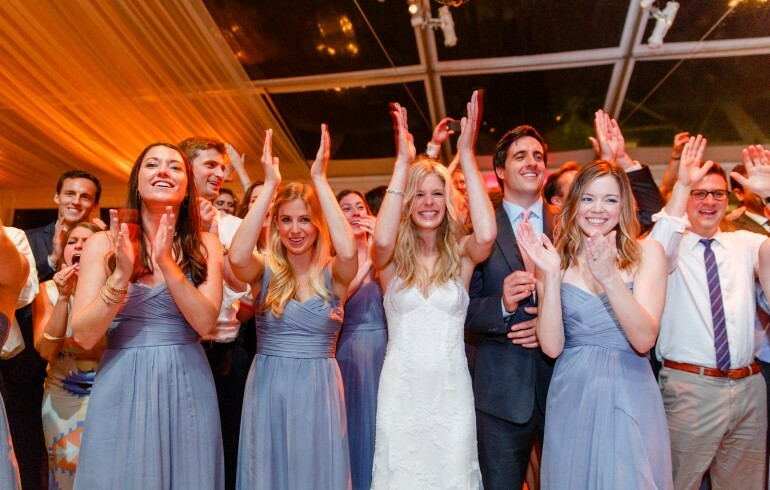 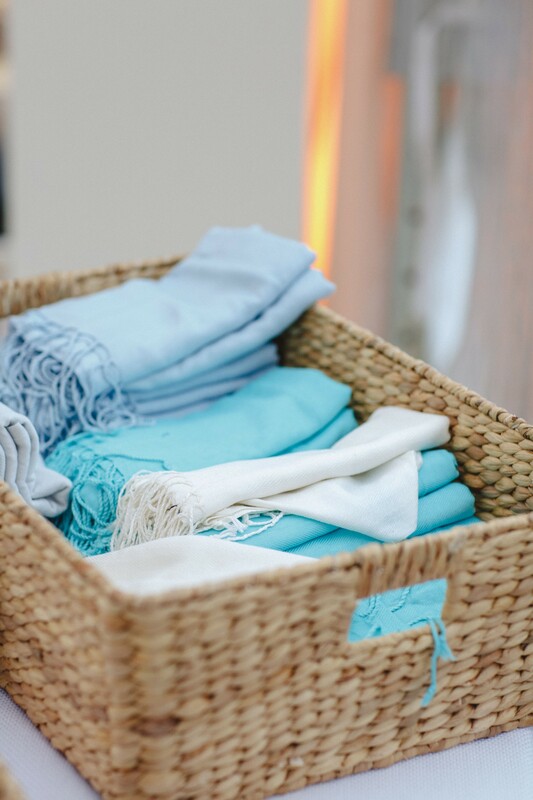 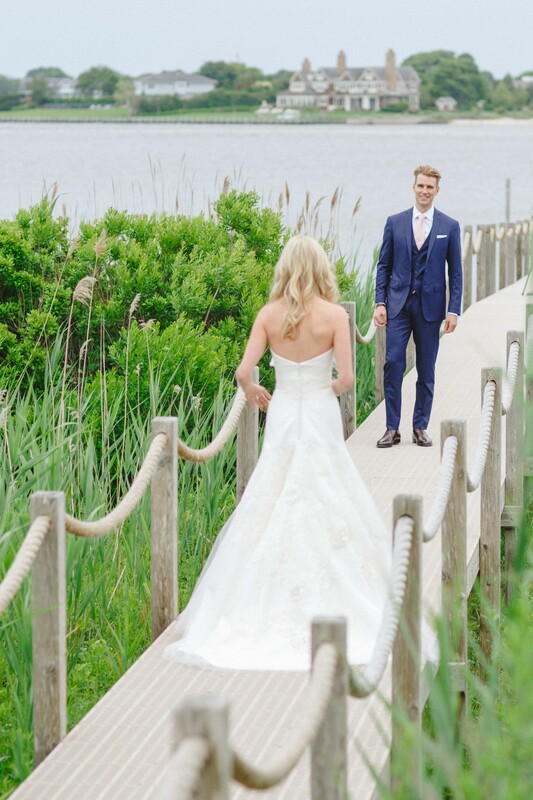 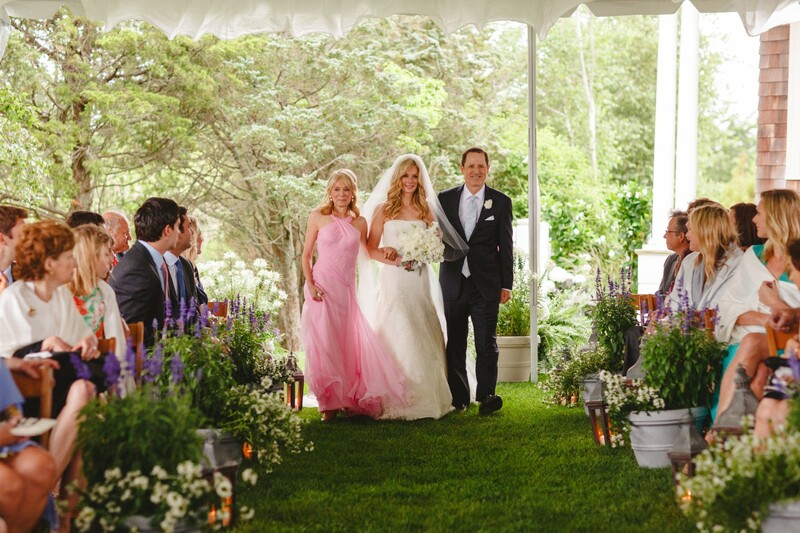 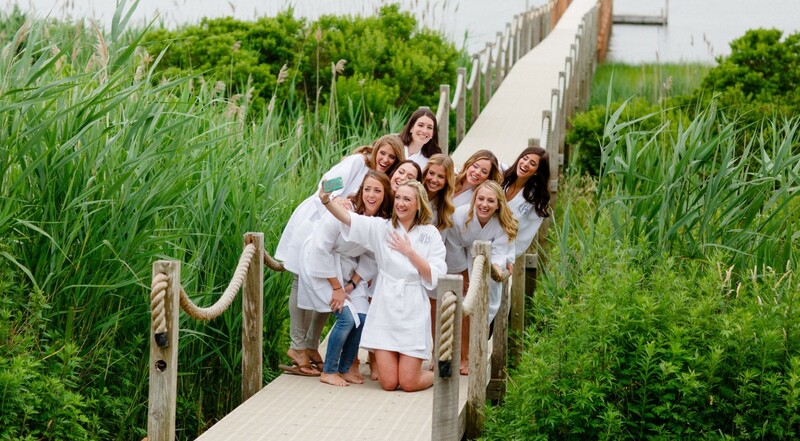 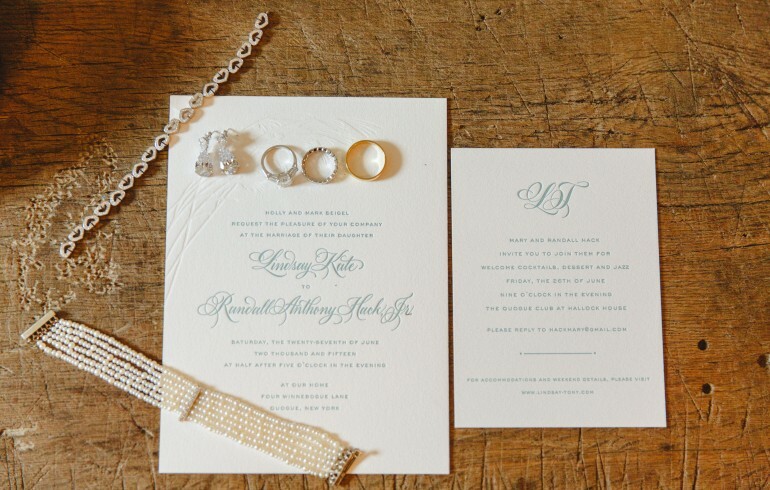 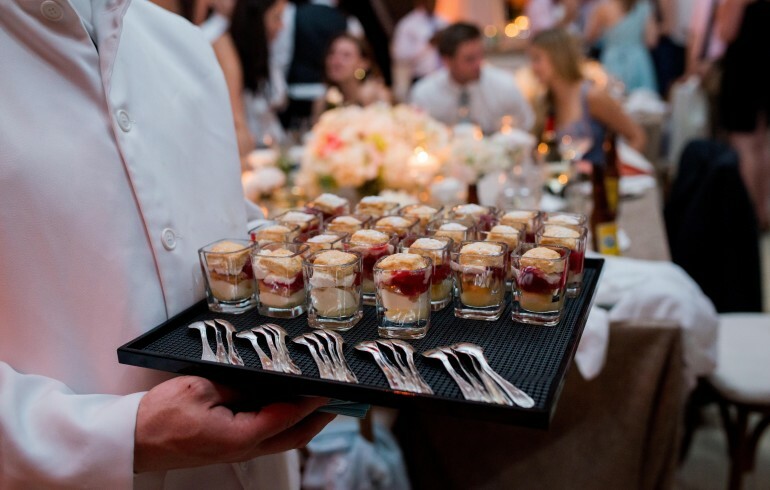 Lindsay and Tony spent many happy weekends at the Brides family estate in Quogue. 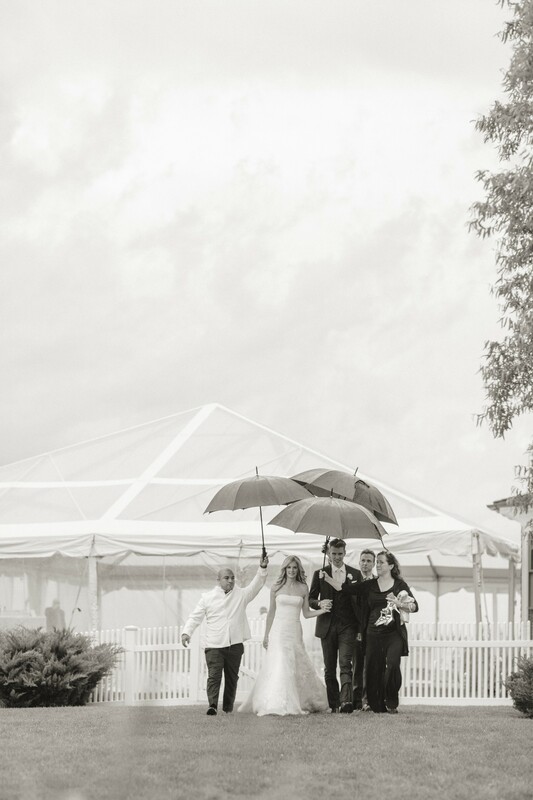 To them, it seemed the only logical place to host their wedding. 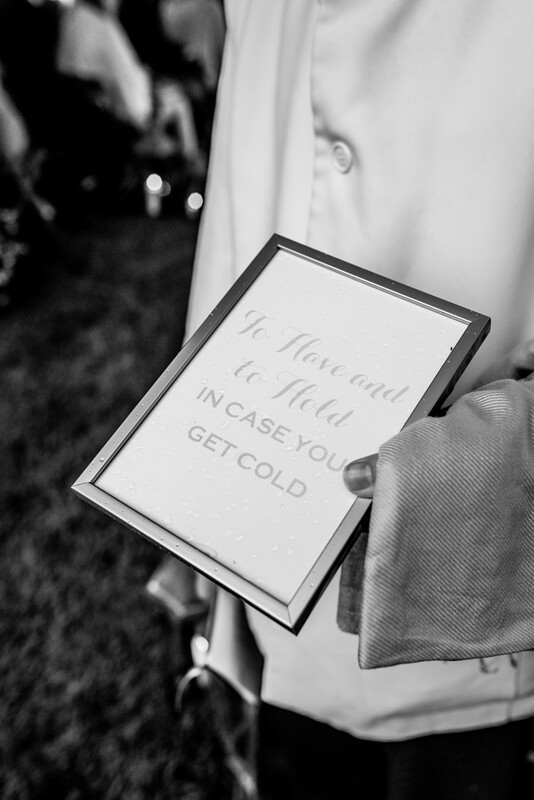 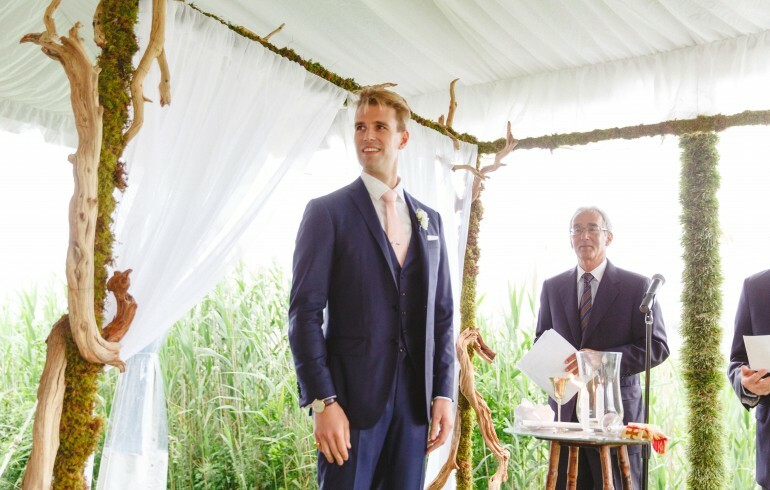 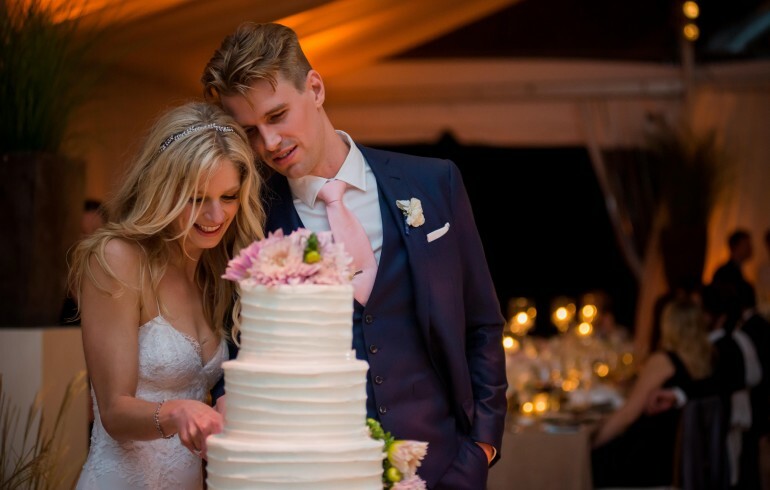 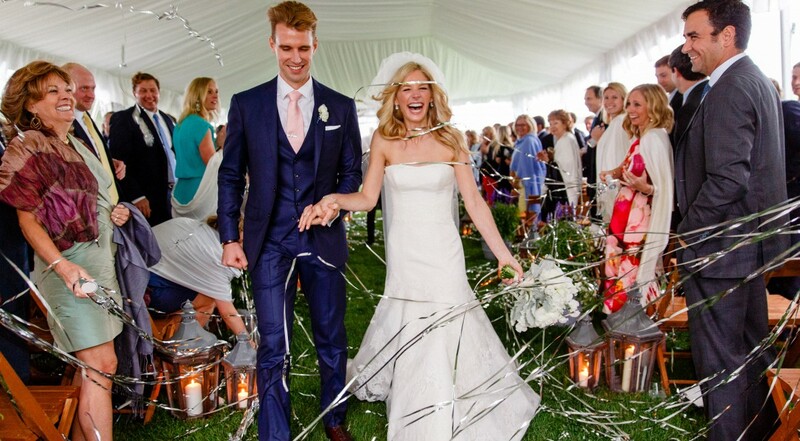 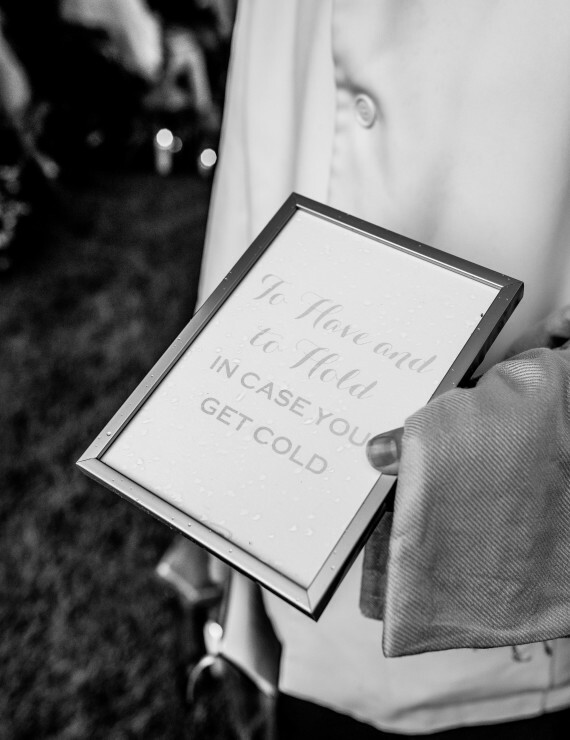 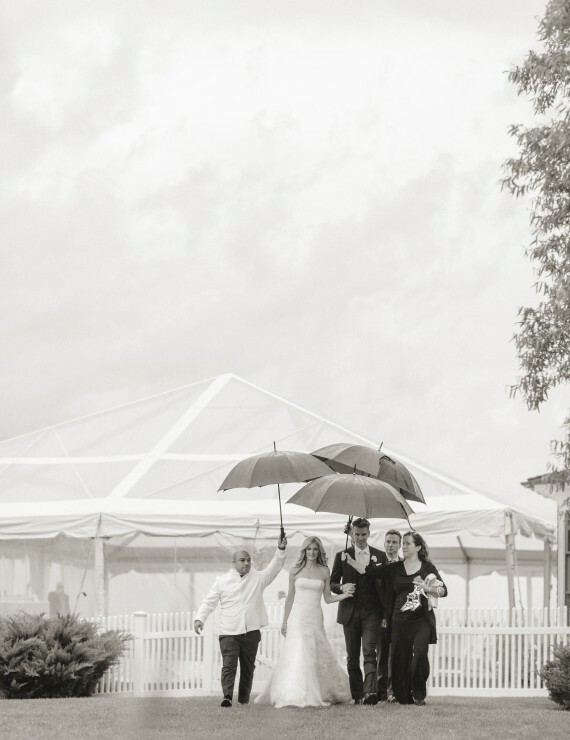 Whimsical details, not to mention umbrellas, added personality, warmth and all-weather style to the occasion. 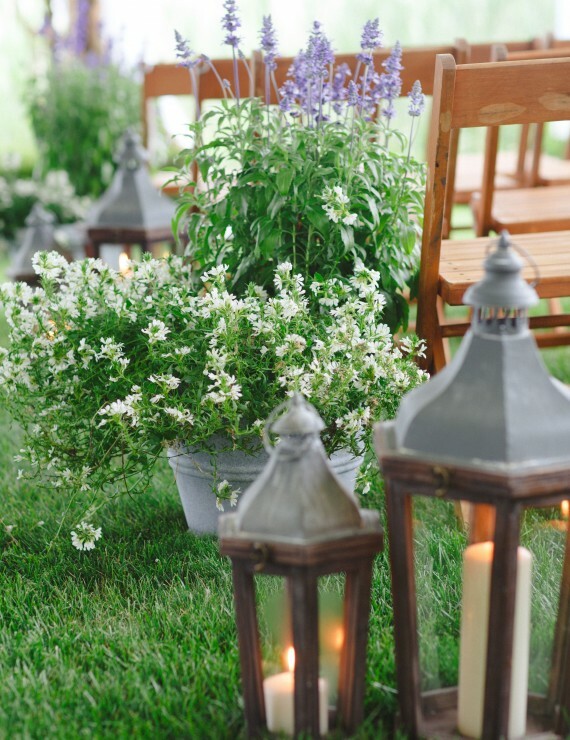 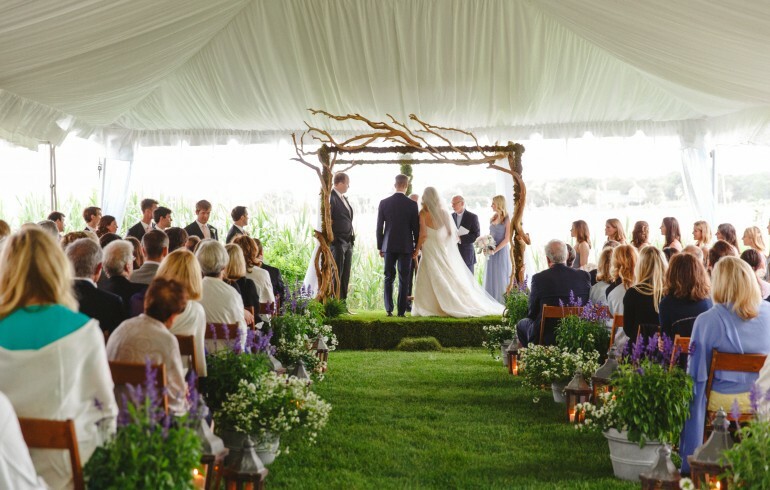 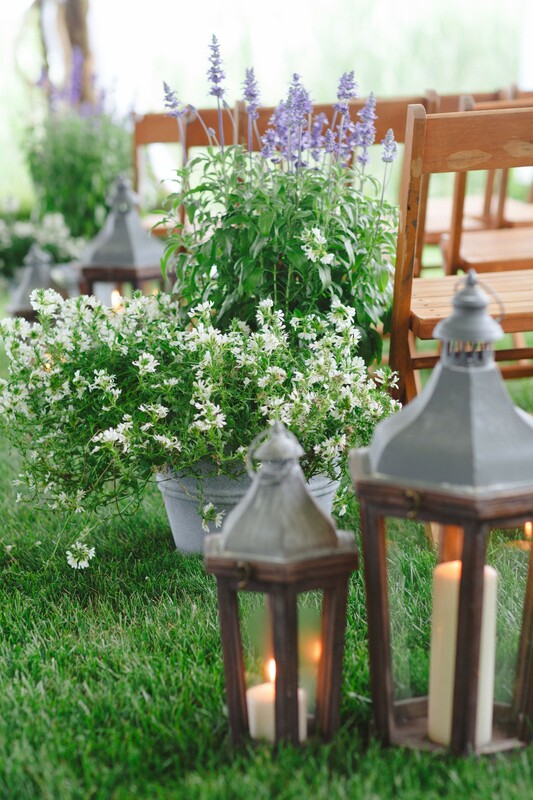 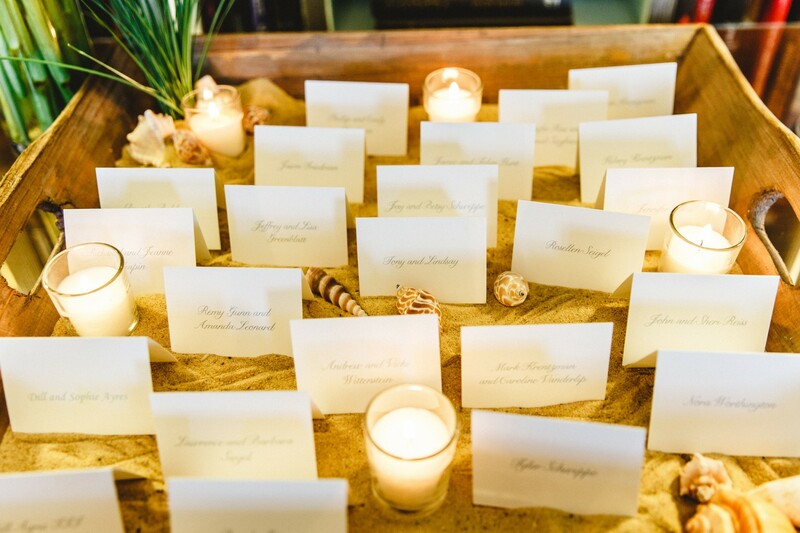 A lush assortment of potted annuals and rustic lanterns lined the grassy aisle leading to their driftwood wedding canopy overlooking the water. 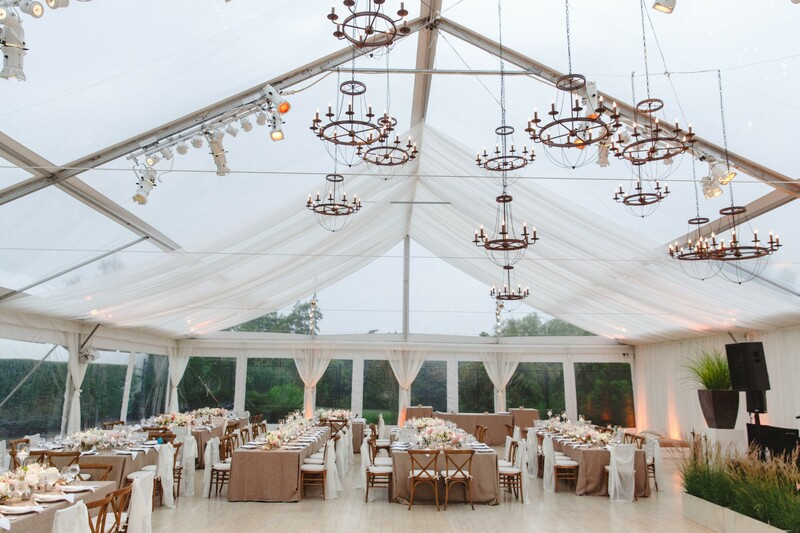 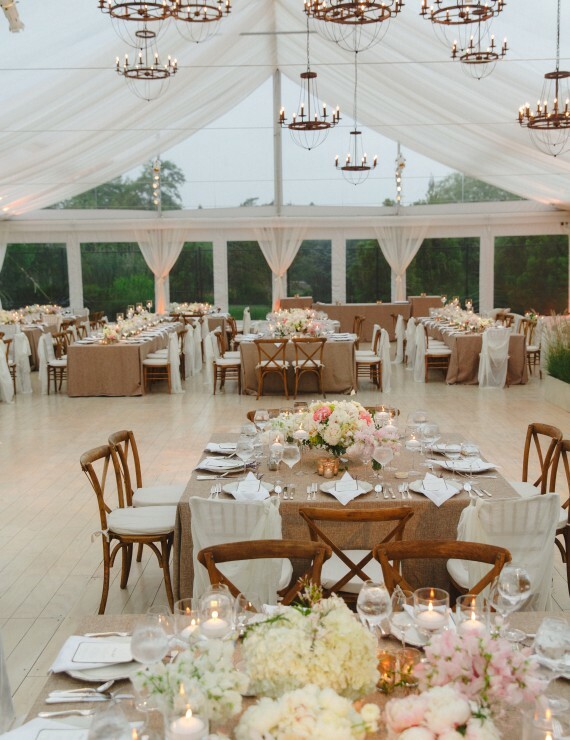 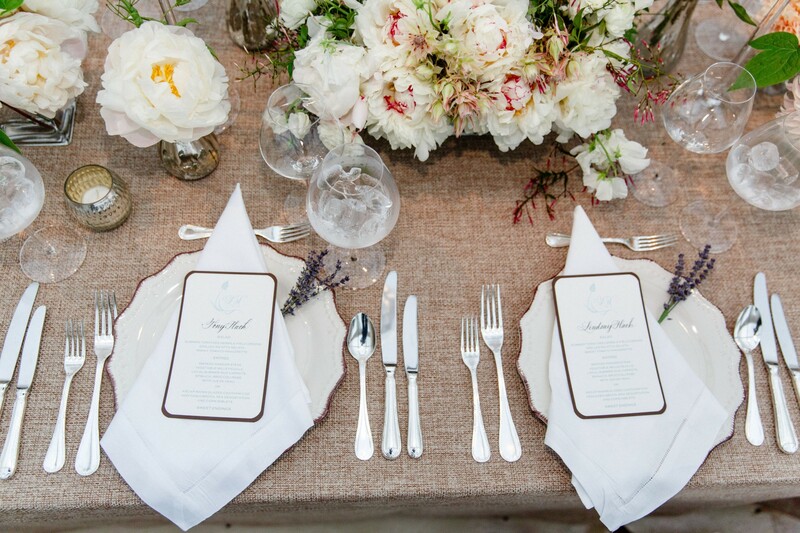 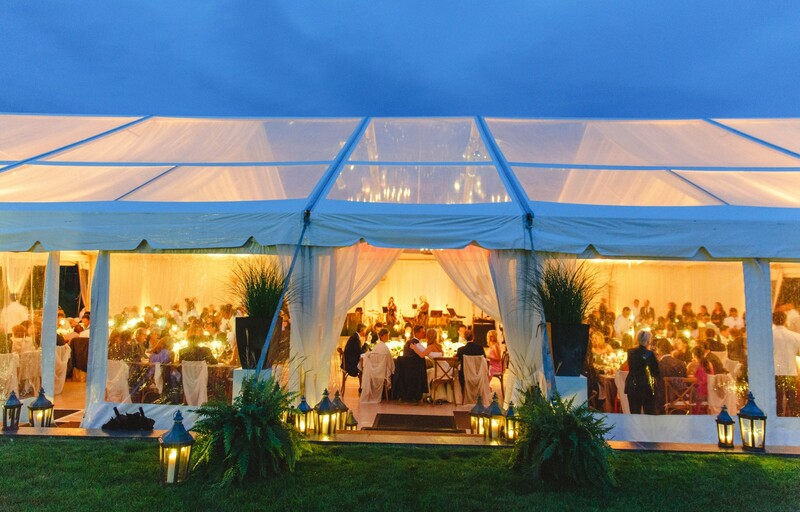 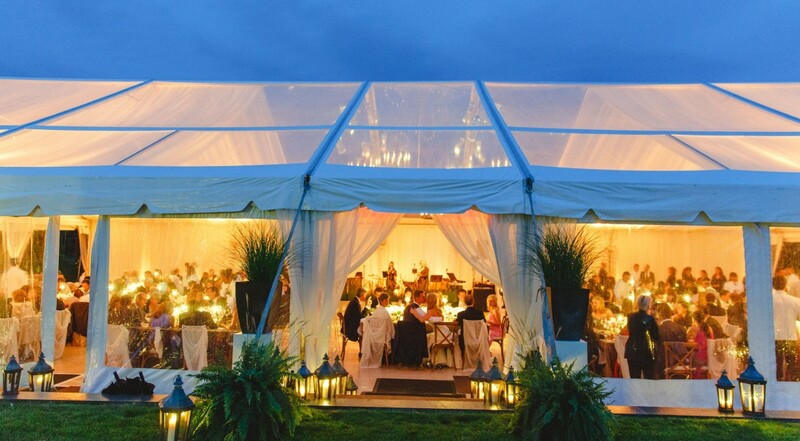 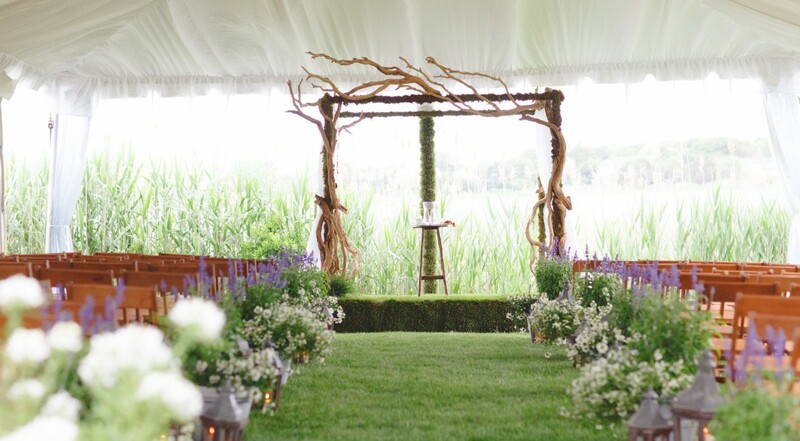 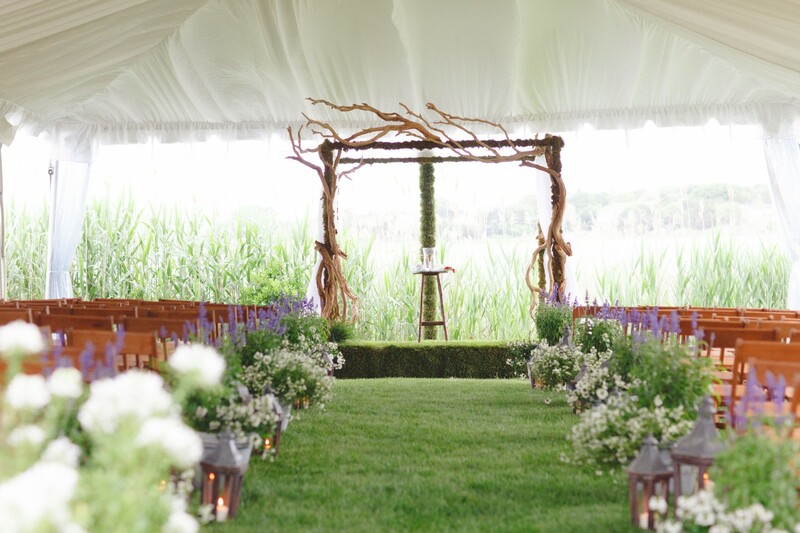 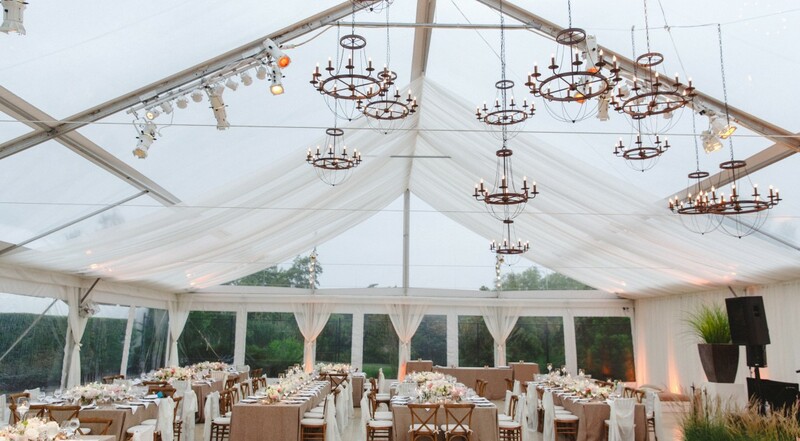 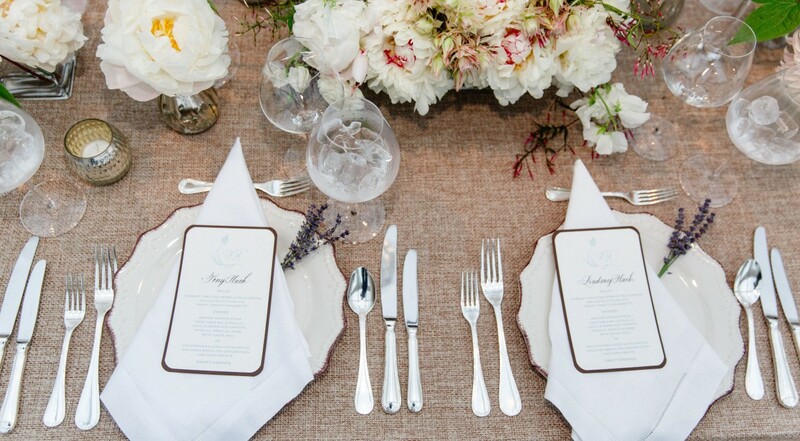 The clean, elegant design of the tent offered a gorgeous gathering spot for family and friends. 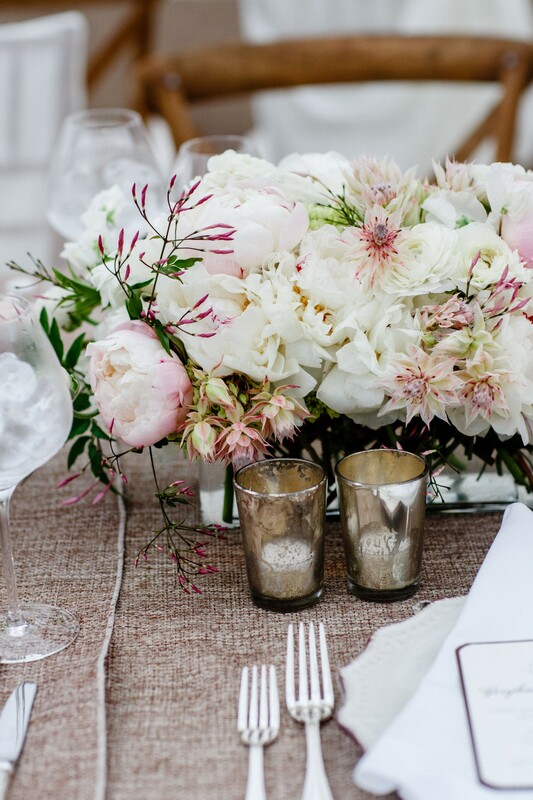 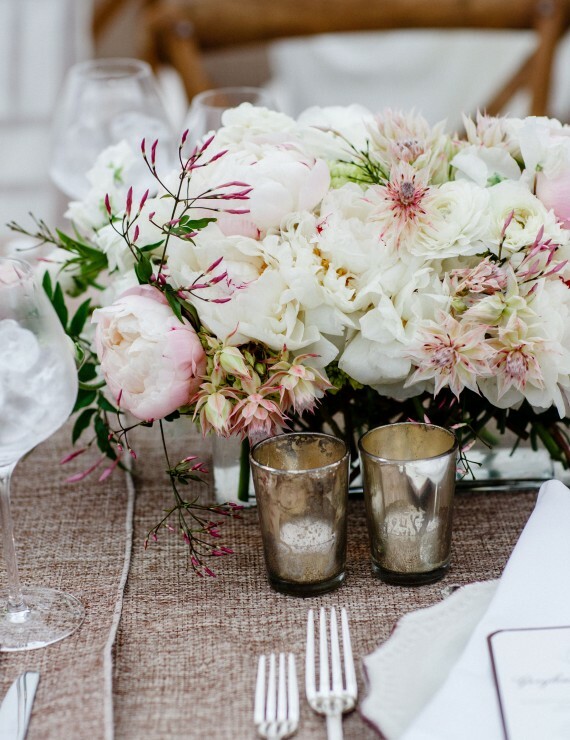 We embraced a softer, lighter palette of cream, blush and earthy neutrals, punctuated by the occasional, unexpected pop of a random pink peony. 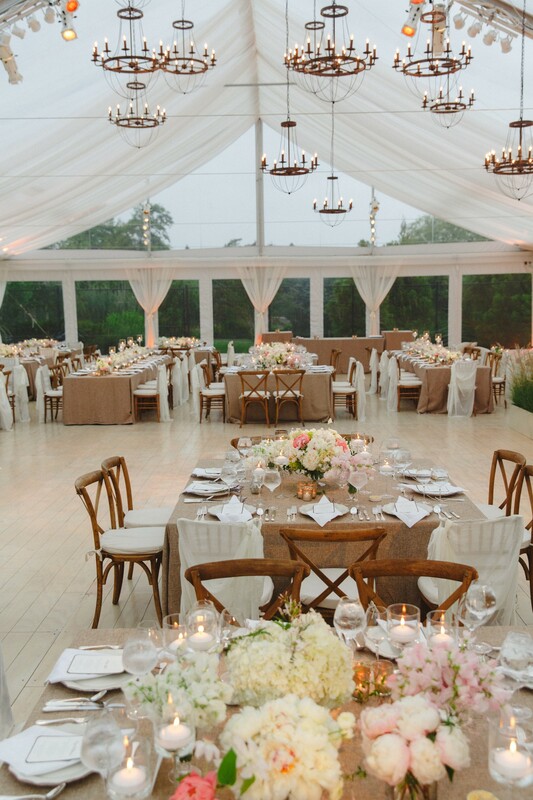 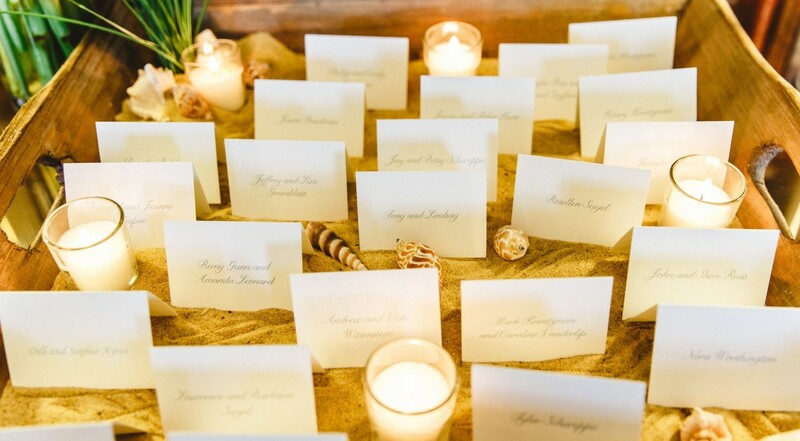 Assorted wooden cross back chairs mixed with softly draped ivory voile added an extra dash of romance. 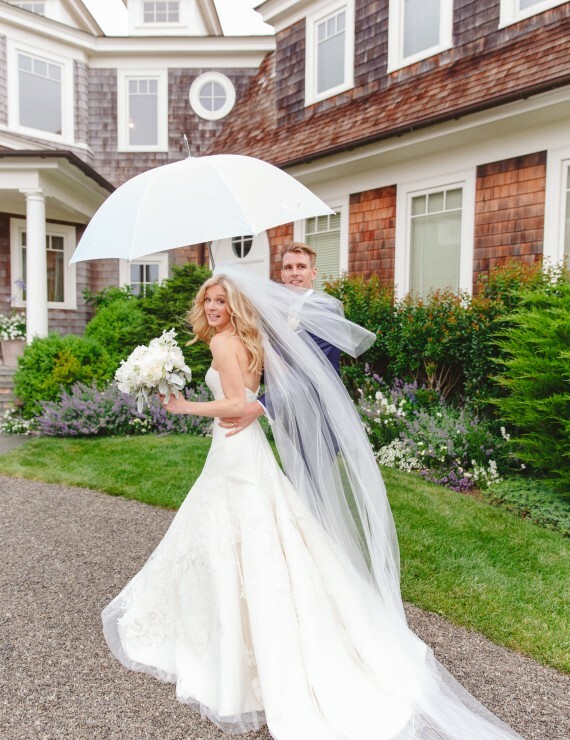 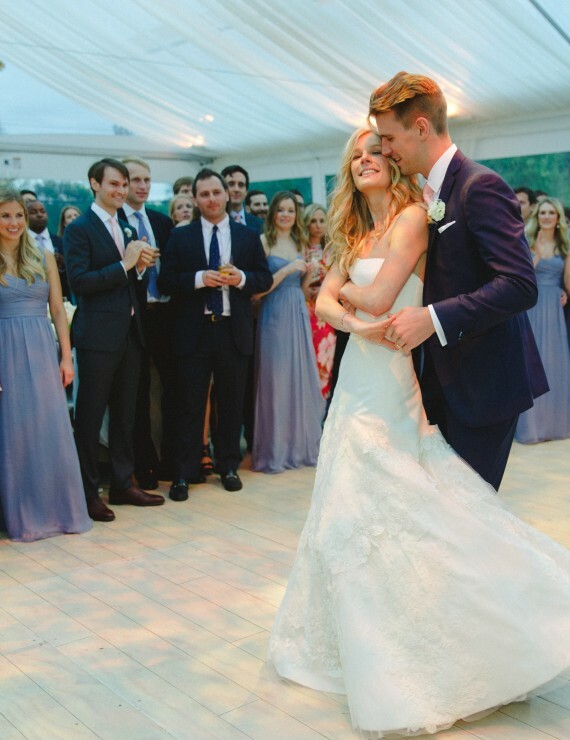 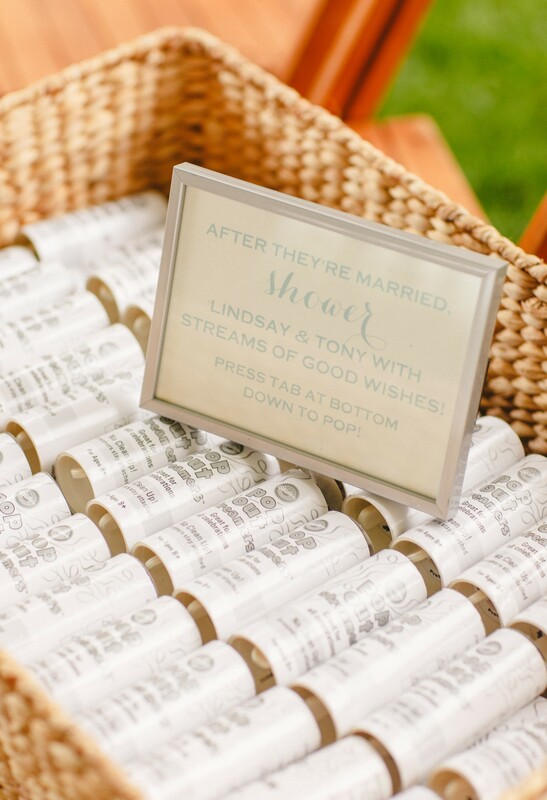 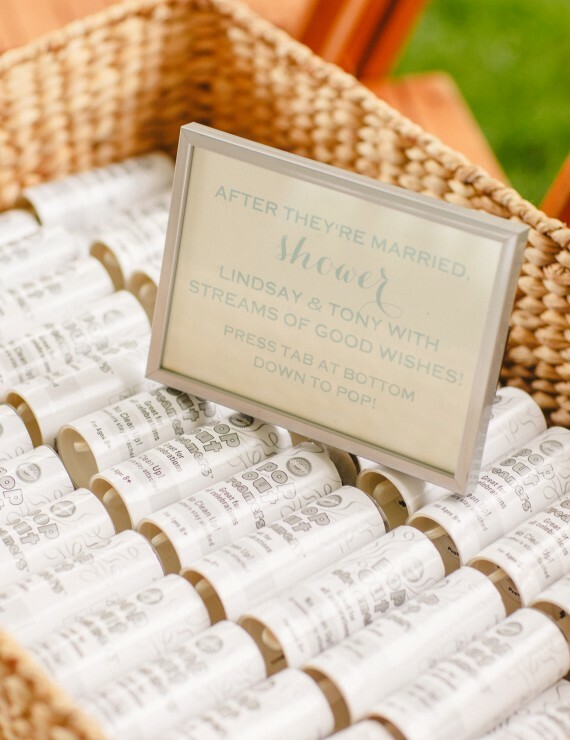 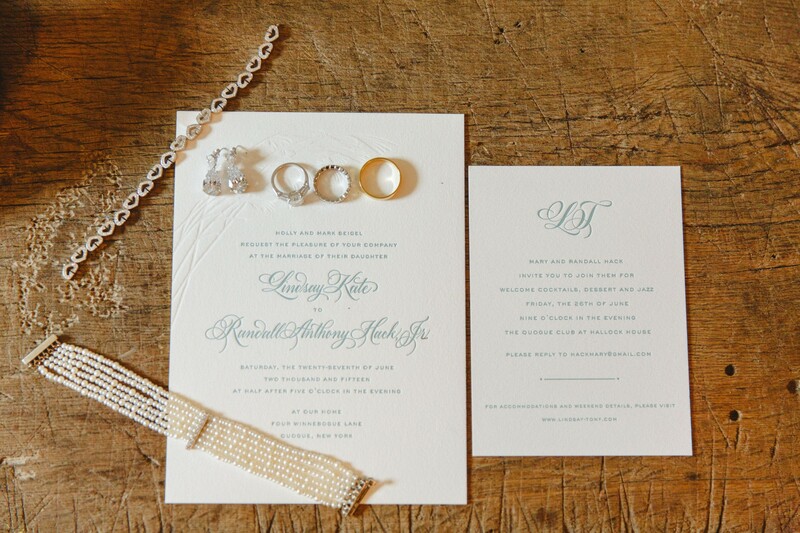 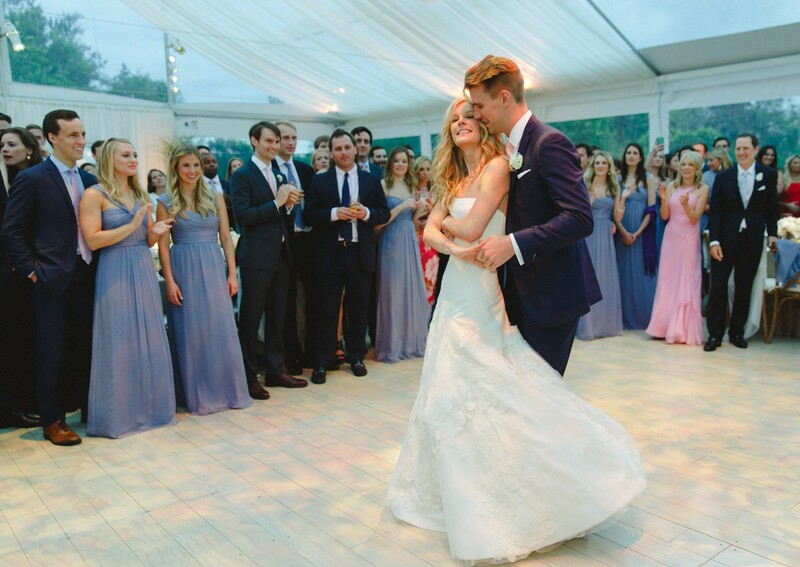 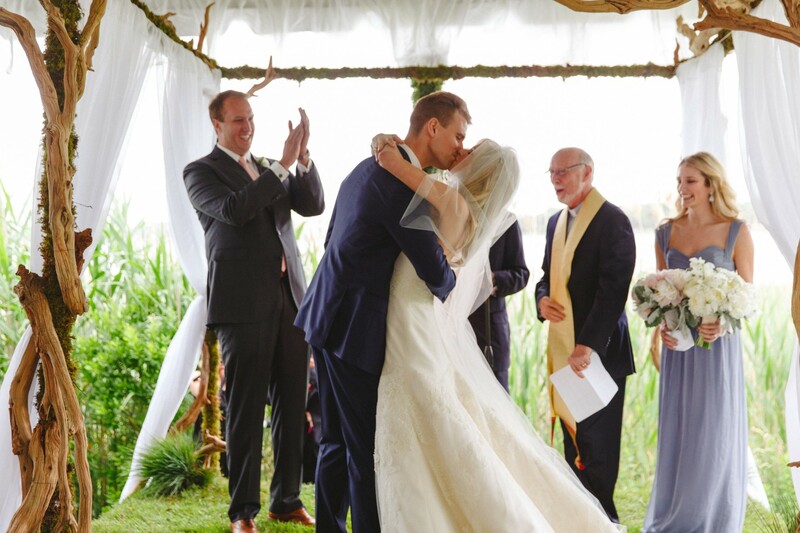 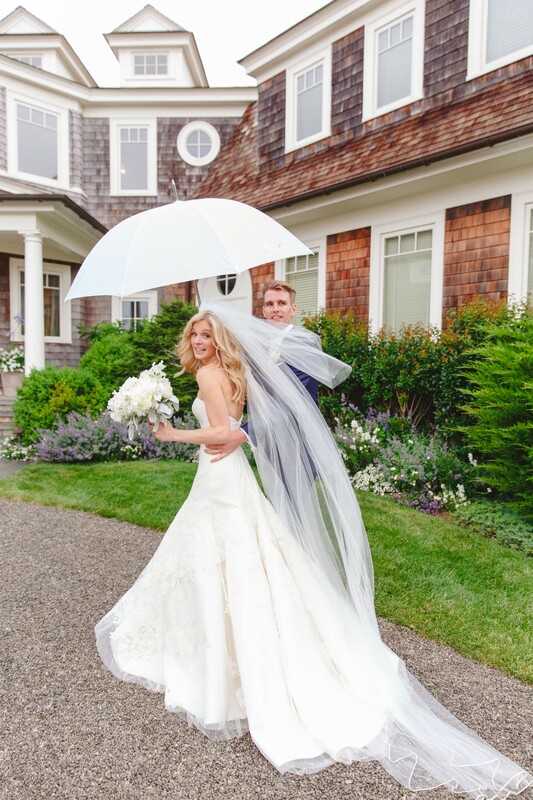 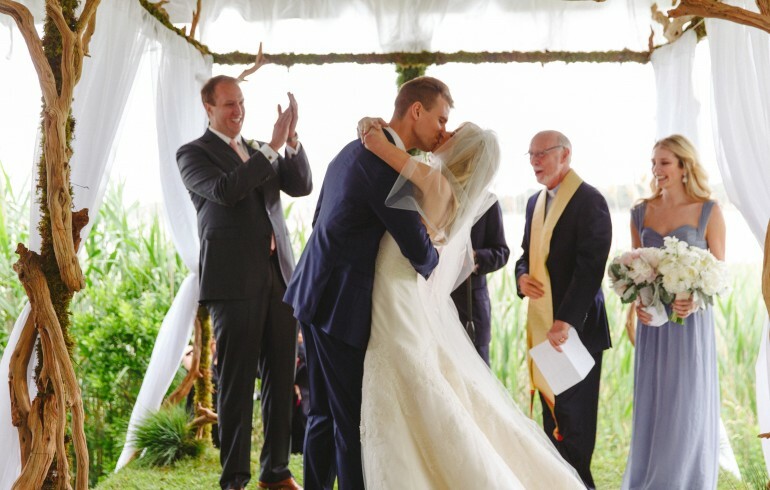 Rain or shine, Lindsay and Tony embraced their day with style, grace...and a great plan B!